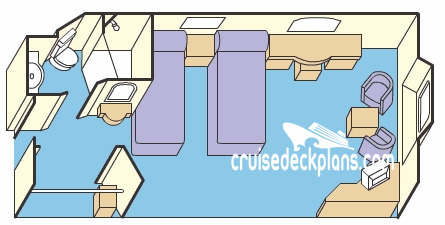 - Aft cabins on the Baja deck have dining table and chairs. 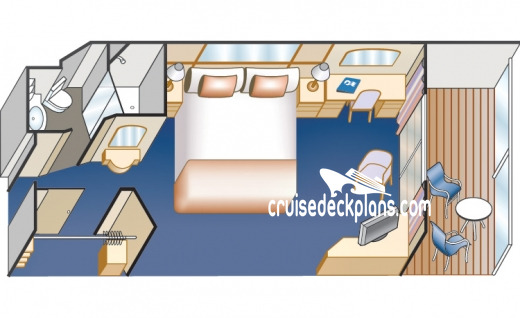 Cabin B748 and B753 is 275 square foot plus 78 square foot balcony. 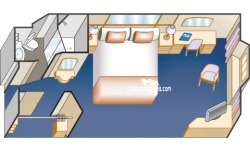 Cabin B750 and B755 is 402 square feet plus 276 square foot balcony. 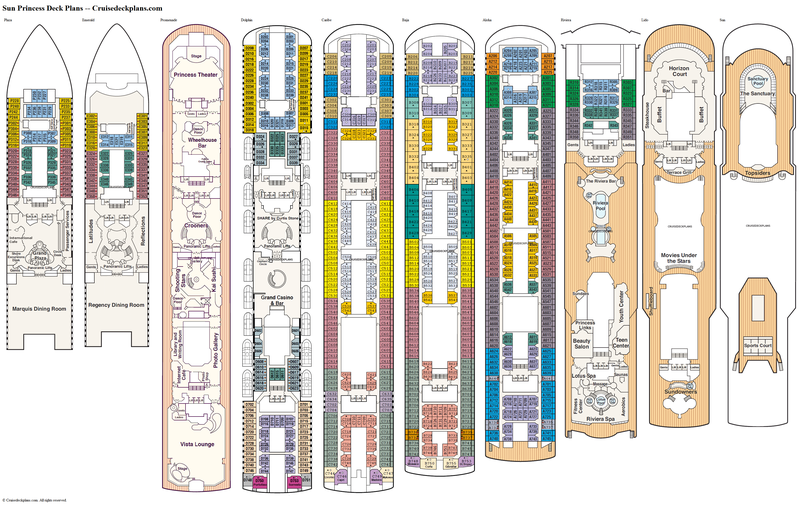 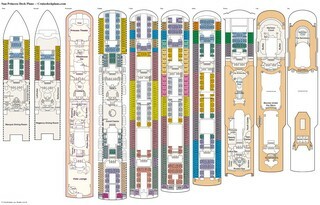 Cabin C744 and C747 are 376 square feet plus 160 square foot balcony. 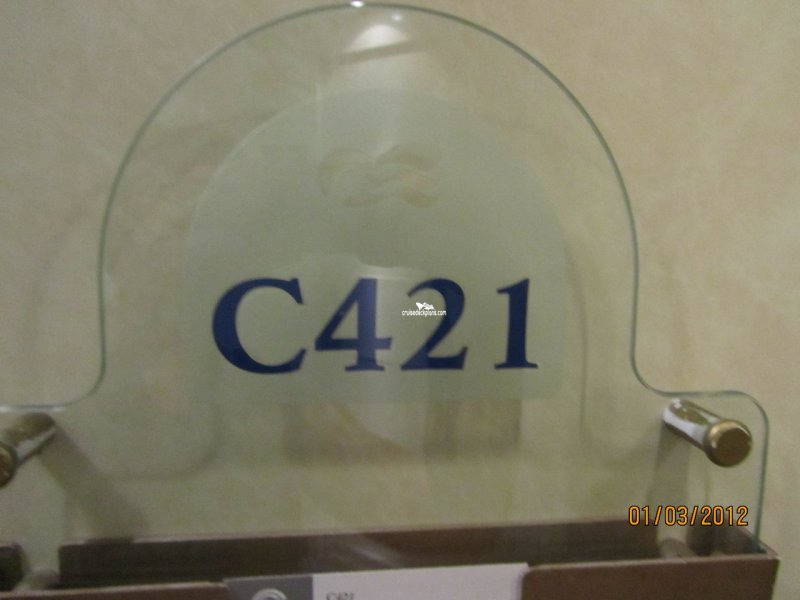 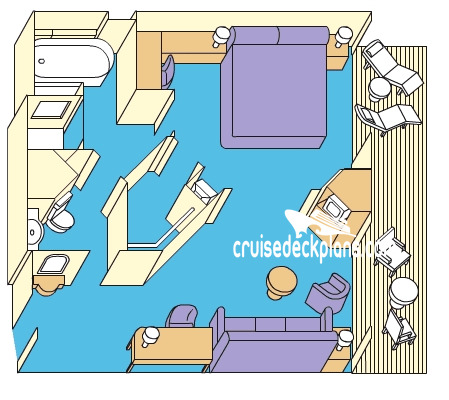 Cabin C746 and C749 are 468 square feet plus 227 square foot balcony. Cabin D750 and D753 are 431 square feet plus 85 square foot balcony. 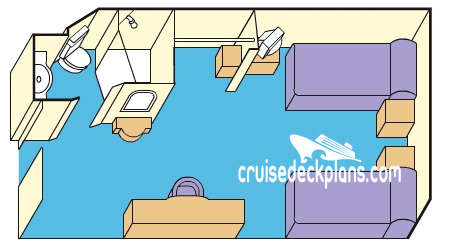 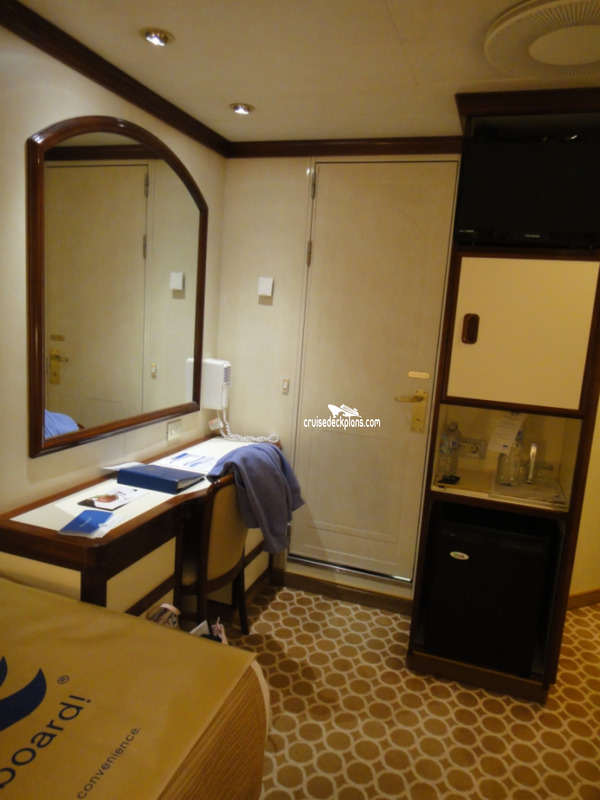 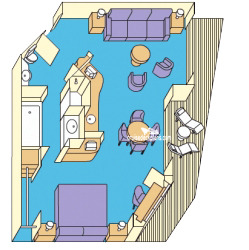 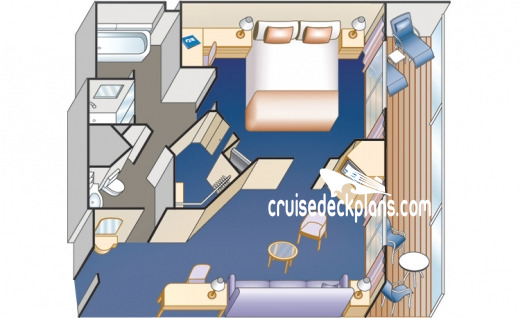 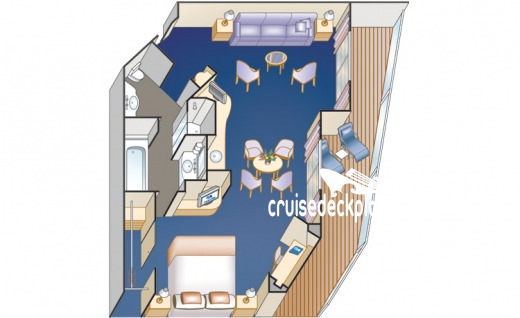 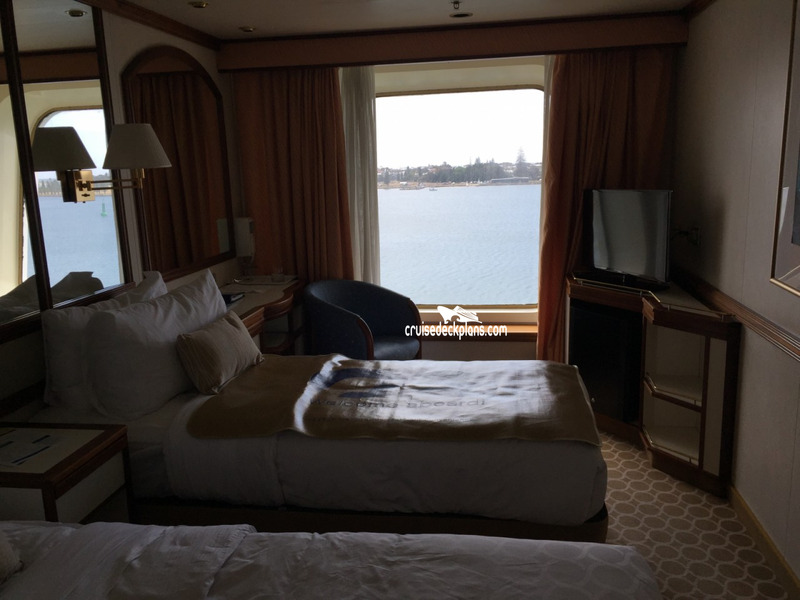 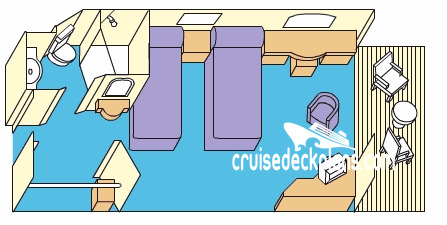 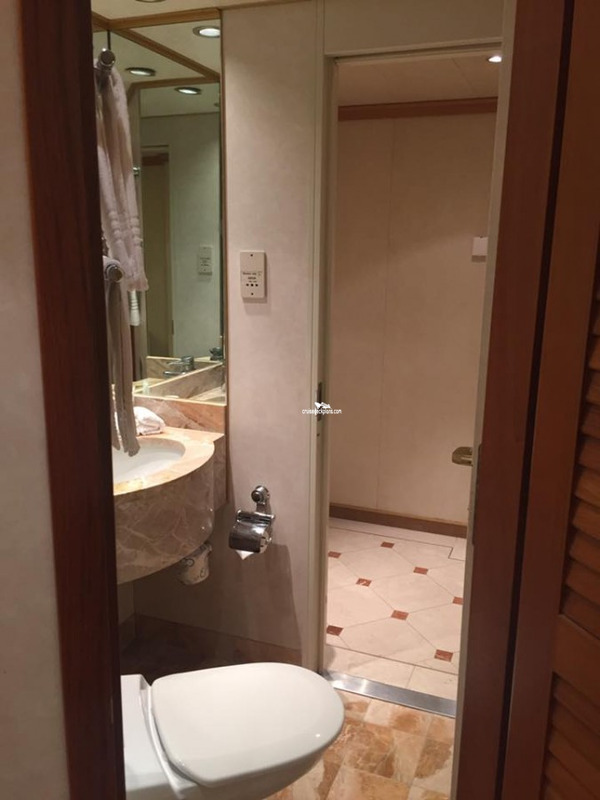 - Floor layout of the aft mini-suite on BAJA deck resembles the floor layout of the suites. 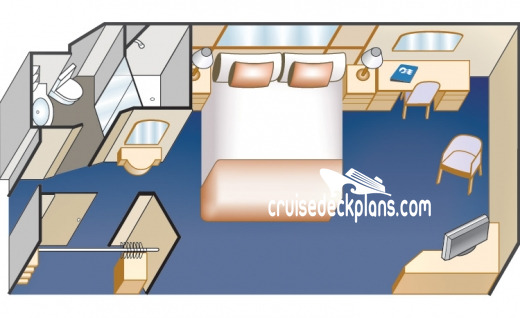 Cabin B748 and B753 is 275 square foot plus 78 square foot balcony. 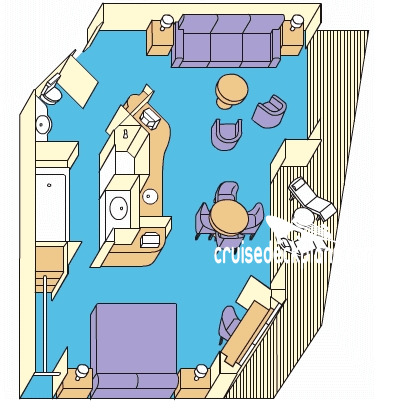 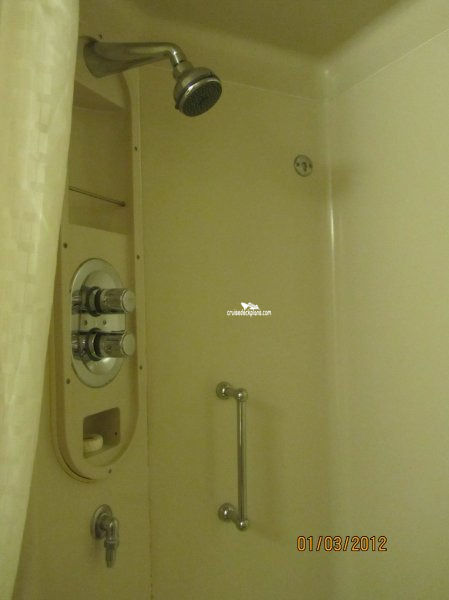 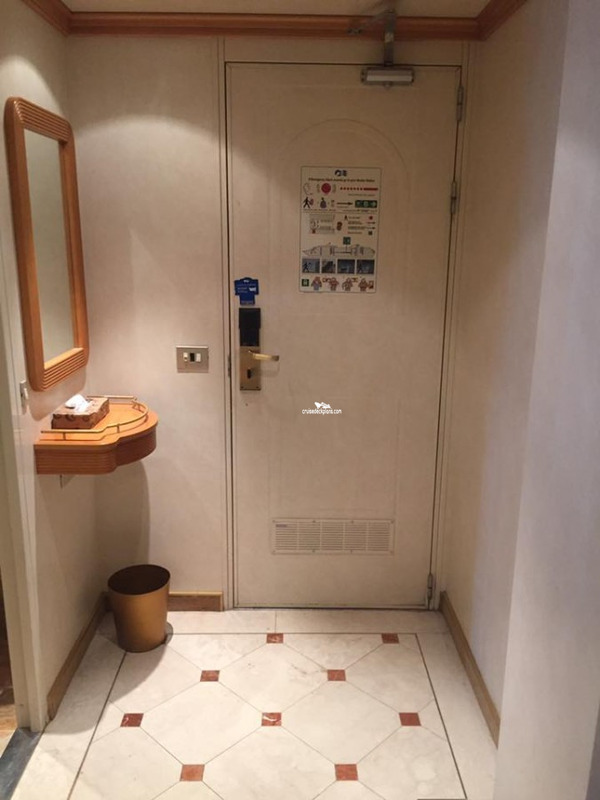 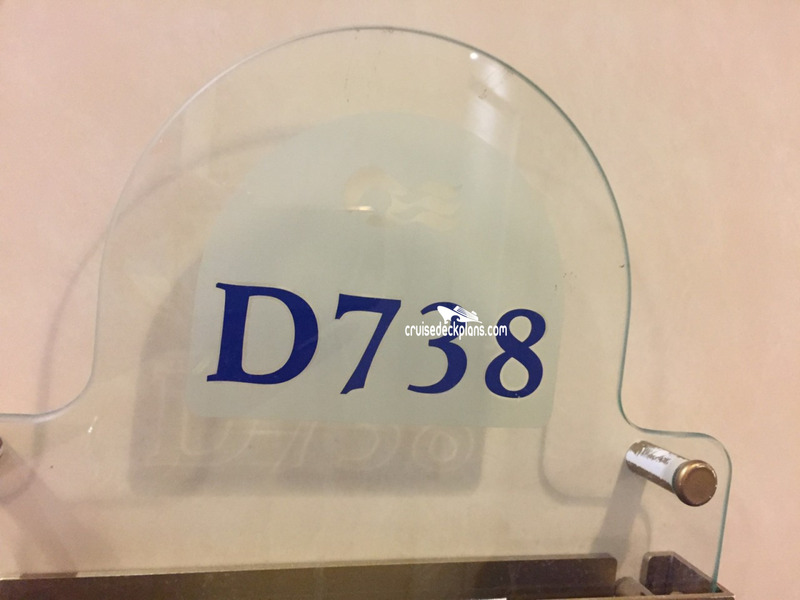 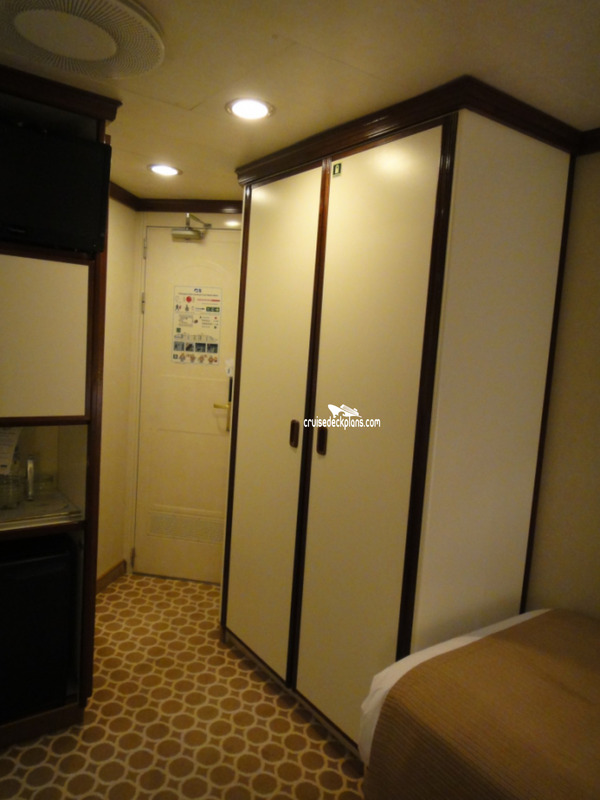 Cabin D748 and D751 is 335 square foot plus 90 square foot balcony.